Well-seasoned event organizers Denial Events have partnered once again with Music Week to bring a little glimpse of the extraordinary to everyone in Miami next week. Aiding in the escape into a fantasy realm of infinite possibilities, Denial creates a mosaic of entertainment that offers intoxicating experiences heightened by the electrifying sensations of a dream-like world. And how does that translate into this year’s week in Miami? With a jam-packed schedule of noteworthy events, Denial Music Week 2019 is shaping up to be one of the wildest and most unforgettable yet, ready to transport guests straight into dreamland. From parties like Firebeatz and Friends, Coldharbour Recordings x Black Hole Recordings, Aly & Fila Open-to-Close, Sam Feldt presents Heartfeldt, EDX presents No Xcuses, and Dada Life presents the Magnificent Rave Spa, to so many more, they’re really establishing their name as one of the leading organizers of Miami’s iconic Music Week. On top of this, they’ll be returning with Denial Hotel this year at Shore Club for a week straight of Miami’s best pool parties that you won’t want to miss. Although each Denial event deserves a well-earned shoutout, we’ve highlighted a few special ones below for you to check out. 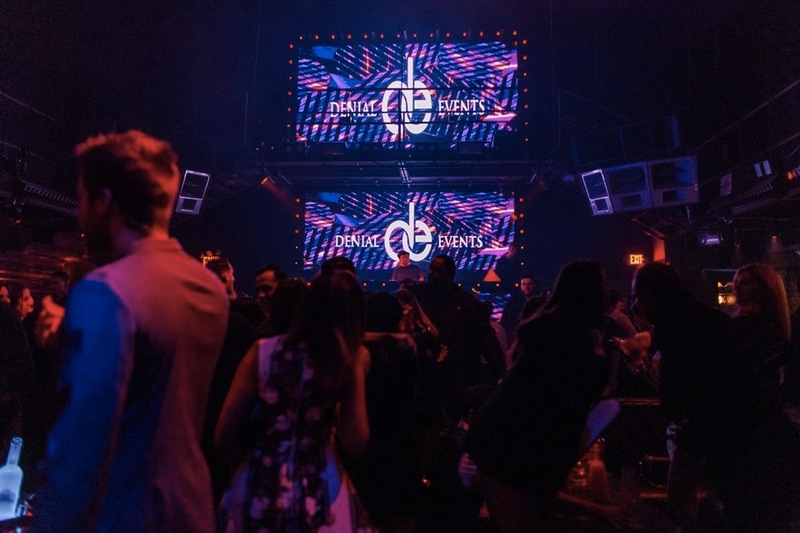 For a full list of Denial’s Miami events, visit here. Can’t wait to see you all out there under the sun! A spooky night hosted by your favorite ghost, Ritual is going to be a one of a kind memory. Bringing in the support for Ghastly will be Habstrakt, Sikdope, Moksi, and Blanke to create a spiritual awakening for everyone in attendance. Deorro is bringing along a gang of special guests to join him at the Shore Club for a day of sunshine, poolside shenanigans and good, (mostly clean) fun. Beside him will be Dirty Audio, Hektor Mass, Henry Fong, Kura, Max Styler, Damaged Goods, Holly Woods, Tegi, WAVES, and more surprise special guests. Although we all have Miami on the brain, we must not forget other impending year marks such as Insomniac’s EDC Las Vegas. Corona Electric Beach does a fantastic job of bringing fans on board for the road to the mecca, and this year in Miami they’ll be alongside Denial Events to host a sun-filled extravaganza with sounds by Gorgon City, BORN DIRTY, Dom Dolla, OMNOM, Redlight, Sonny Fodera & more TBA. Although the lineup is TBA, you can rest assured that Denial has got support taken care of to go head to head with FEHRPLAY at this mysterious and mood-oriented soiree. To show fans some extra love, Denial has released 100 ‘free admission before midnight’ tickets, so hop on board before it’s too late! Stepping it up at this intimate lounge event with Simon Patterson will be Mark Sixma. Guests can gear up for some sweet and blissful trance soundscapes Saturday night to coast them straight into the wee hours of Sunday morning. Denial hosts its own Denial Island to round out the week’s festivities. The Island-ready lineup features headliners DallasK, Justin Caruso and special guest Sikdope as well as Baggi, Deerock B2B HTPKT, Maj Ulbrand, Pietro, Tricia Dade, Veniice B2B Baylienz, and ZROFUX. In proper Denial fashion you can also of course expect more surprise guests to join the mix.